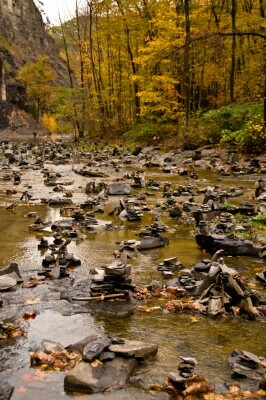 The tradition says you can make a wish for each rock you’re able to successfully stack. Look at all of the wishes and take a moment to think about the people who placed them here. Think about their stories, the paths that brought them here and their incredible openness to possibility. You can practically feel their hope that something wonderful will happen. But rocks aren’t mountains, and you are a mountain mover. These rocks are also a perfect analogy for the way many of us run our businesses. All of those little stacks of rock represent the various aspects of your business…every product, every service, every offer, every half started book or workshop on your computer, every idea in your 5000 notebooks, every thought your gripping so tightly in your head. The act of wishing, creating and stacking was supposed to be zen. But living with so many tiny, topply piles of rocks all around you is so totally not zen. It’s paralyzing. It’s too fragile to be a foundation. This is an outward representation of how your undeniably beautiful & meaningful work can still leave you feeling disjointed, fractured and scattered. You know you need to move, but you’re terrified to do so. You fear that a wrong step in any direction could easily topple all of your dreams and hard work. So you stand still and stack more rocks. You keep wishing. Living amid the wishing rocks can easily make everything feel disjointed, fractured and scattered. Your relationships, your home, your thoughts, how you spend your days…everything. How many wishes does it take to build a mountain? Stacking rocks is no way to build a mountain. 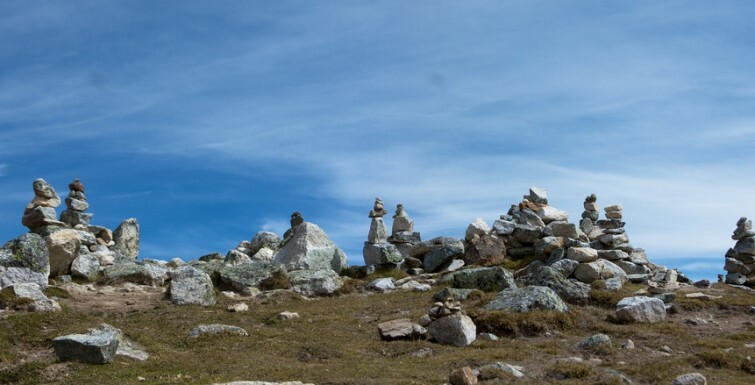 One of the most important parts of creating a thoughtful, strategic plan is to take the time to really look at each and every little stack of rocks you’ve made (or started to make, or dreamed of making). When you do this, you may find the central theme that connects them….the core message your work is trying so hard to get out into the world. Then, with the proper tools in hand you can take those rocks and confidently begin building your mountain upon the solid foundation of your life’s work.